Butler Township could soon have a new self-storage facility. The Butler Township Planning Commission has approved a land development proposal from Fairfield Southpointe for the former Irene Stacy property on Hillvue Drive. One of three existing buildings will be renovated into 28 units of interior storage and 13 smaller storage units will be constructed in a fenced-in parking lot area. These will be permanent structures and not the movable POD-style of self storage units. Vehicles, like boats and RVs, will be able to be stored in the gated parking lot of this facility. The township Zoning Hearing Board has already given conditional approval for this use even though the area is zoned agricultural. The plan will next go before the Butler Township commissioners at their next meeting on Monday. If approved there, the facility could be open to the public by Sept. 1. Plans for a self-storage facility are in the works for a location on Hillvue Drive in Butler Township. The post Butler Twp. 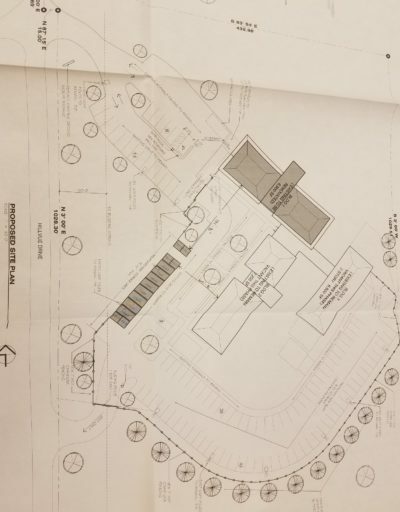 Could Get New Self-Storage Facility appeared first on ButlerRadio.com – Butler, PA .